SIOUX FALLS, S.D. 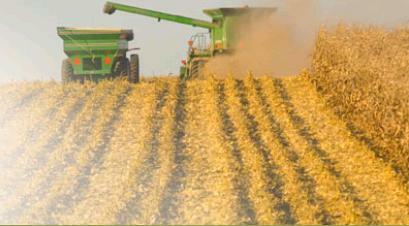 - South Dakota farmers are planning to seed less corn and wheat this year but more soybeans. It's a trend playing out in many states, with surpluses of corn and wheat in storage in the U.S. The Agriculture Department says in its prospective plantings report that it expects South Dakota farmers to seed only 940,000 acres of spring wheat, down 13 percent from last year to a record low. Corn acres are expected to be down 4 percent to 5.4 million. Soybean acres in the state are expected to hit a record, up 4 percent to 5.4 million acres. Other crops with expected increases in the state are sunflowers and dry peas. Crops with expected acreage decreases are durum wheat, flaxseed, sorghum and oats.